Discover Montréal on a Stand Up Paddleboard. Let yourself float away on the Saint Lawrence with the guidance of our qualified guides. 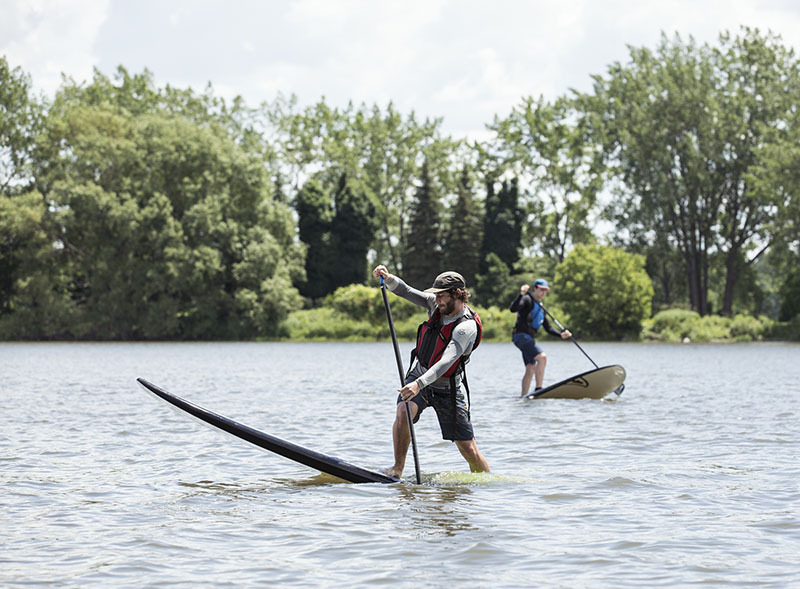 For beginners, we suggest you take the SUP Discovery (3h in LaSalle) ou SUP Initiation (2h at Parc Jean-Drapeau). You’ll learn all the basic paddle strokes and get a chance to practice them during a small excursion.